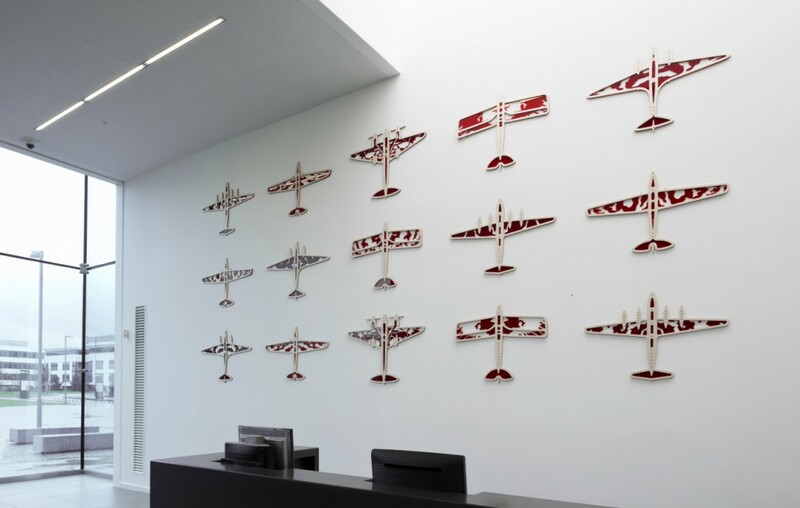 Material Flight is a permanent, site specific commission for the main reception of the University’s De Havilland Campus. The site itself has two distinct 20th century histories; one relating to the De Havilland Aircraft Company, the other to the University itself. I became interested in the concept of pairing, where both similarities and differences occur. Geoffrey de Havilland was extremely passionate about the natural world, especially Lepidoptera, and the Moth and its variants are perhaps his most iconic aircraft. The flight he saw in the natural world was intrinsically linked to the technologies he developed for man-made flight. C.P. Snow’s Two Cultures sparked an on-going debate about the two dominant academic disciplines, the Sciences and the Humanities, and the perceived gap between them. The University of Hertfordshire embraces both with equal vigour. 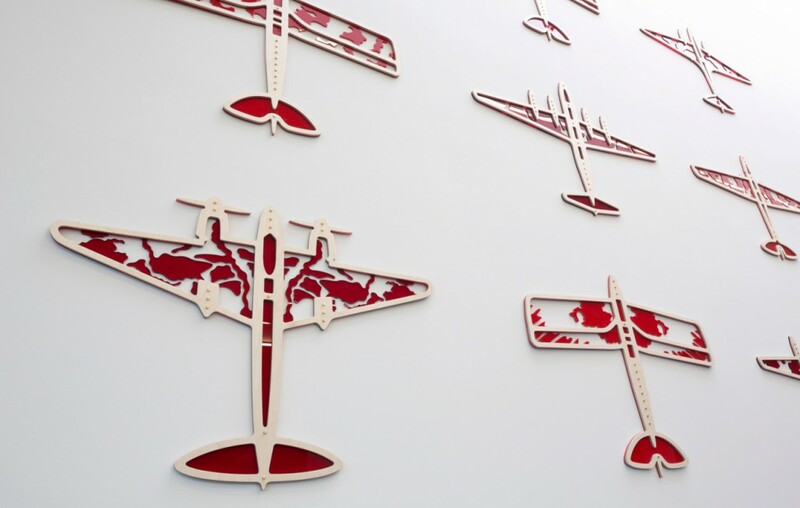 Comprising 15 aircraft, the work represents five iconic De Havilland models: the Tiger Moth, Moth Minor, Mosquito, Comet and Heron. 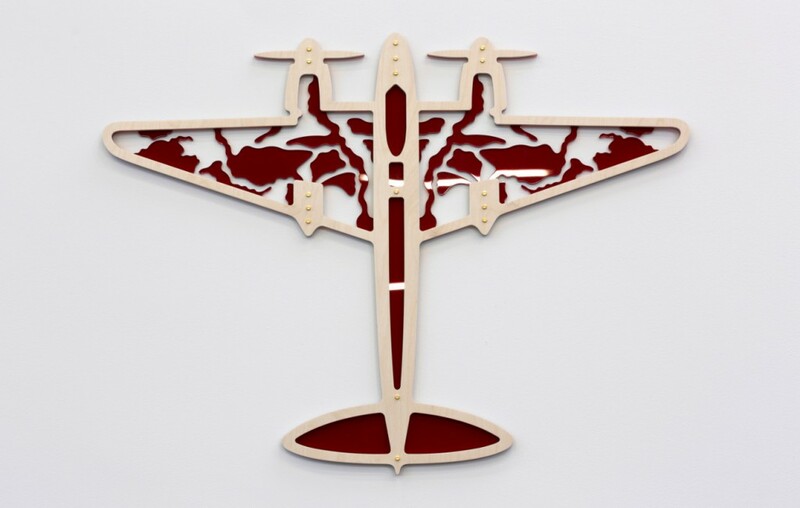 They are made from layers of red acrylic (transparent and opaque) and birch ply fixed together with brass screws. These materials were used in the construction of early aircraft; acrylic for the windows and birch ply for the internal rib construction. 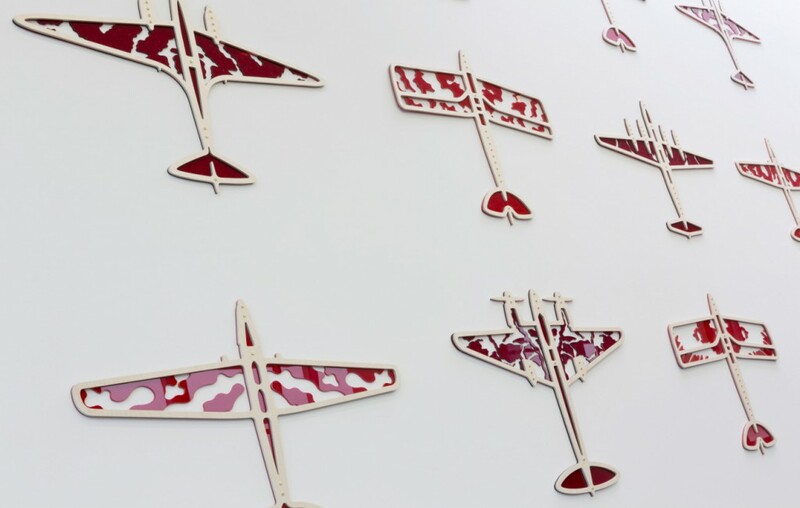 The laser cut patterns represent British moth wing markings; they also hint at military camouflage. 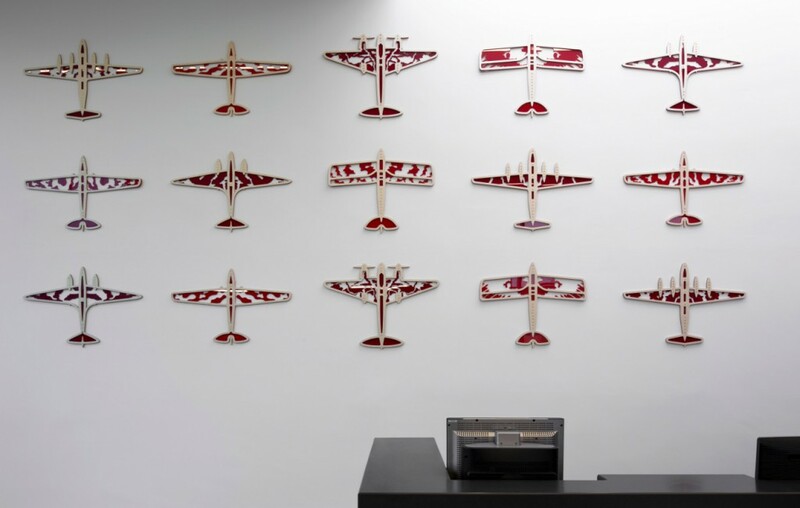 The ordered formation of the work is influenced by the regimented way lepidopterists display their specimens.